Ret. 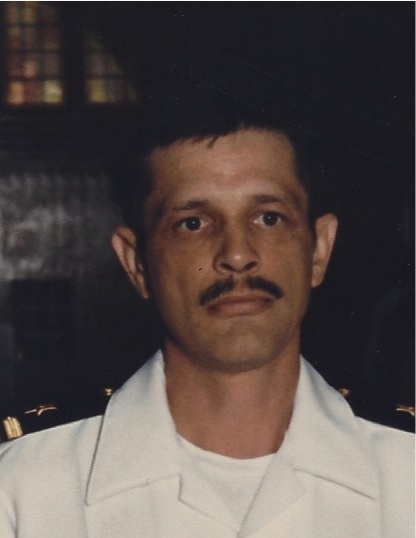 LCDR Leonard W. Stanfield, 71 of Mystic, entered eternal life on Feb. 5, 2019 at his home in the company of his loving wife, Carol (Cerreto) Stanfield. He was born March 8, 1947 in SanAntiono, TX the son of Calvin Stanfield and the late Cassie (Seymour) Stanfield. 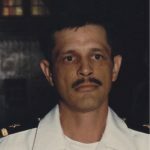 He served in the US Navy for 30 years, retiring at the rank of Lieutenant Commander. Beside his wife Carol , he is survived by his father, Calvin Stanfield and wife Suzanne of TX. Four children, Johanna and husband Randy Maynard, David Cerreto, Benjamin Thomas and Carol Cerreto-Burke. Grandchildren, Jennifer, Nicole, Justin, Christian, Nathaniel and Shannah. Four great-grandchildren, Adrian, Carol, Mia and Aurora. Military funeral services will be private. In lieu of flowers, donations in his memory to Center for Hospice Care, 227 Dunham St. Norwich, Ct 06360 or Yale Hew Haven Visiting Nurse Assoction of Southeastern CT, 403 North Frontage Rd. Waterford, Ct 06385.